Founded in 1990, our factory specializes in manufacturing silicon devices. 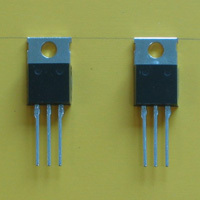 Our main products include NPN and PNP transistors, fast recovery Schottky barrier diodes, and field effect transistors. With 300 staffs and 30 professional engineers and technicians, we have been making great efforts to improve the management system to create our brand "XinZhiXing". At present, our company has the capability of producing ten million devices per month. Our annual yield reaches hundred million devices, which values in USD about 4.5 million. Performing strictly according to ISO9001 quality system, our company has about one hundred types of products, including BU, BD MJ, 2N, and STR series. Our products have been exported to the United States, Europe, Middle East, and Southeast Asia. Located in Wuxi city, which has convenient transport of railway, highway and waterway, our company is an ideal enterprise where you can choose the electronic products and invest. We warmly welcome you to visit our company and cooperate with us.